Looking for an exotic locale as impressive and exciting as it is relaxing and beautiful? 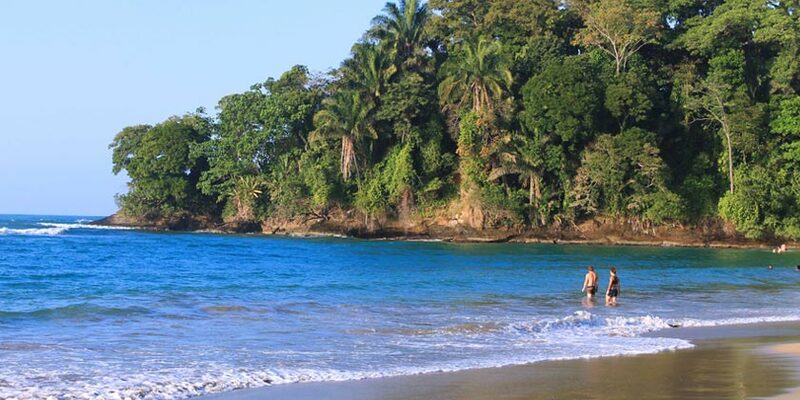 One of the many flight options to Liberia, Costa Rica from United Airlines® can take you there. A vacation to the city of Liberia offers a safe, accessible and lively gateway to the cloud forests, volcanoes and waterfalls Costa Rica is famous for. Sample local treats like sugar cane juice and fresh seafood as you explore the city and then visit the nearby Pacific Coast resort areas of Playa del Coco, Playa Hermosa or the Papagayo peninsula, with its tropical dry forests and untouched beaches. Truly a hideout and escape from the ordinary, Costa Rica will make you feel alone and unbridled with all the luxe amenities you desire within reach. Liberia is the epitome of exotic, known worldwide for its stunning natural beauty made up of white-sand beaches, turquoise waters, and impressive volcano-studded rain forests. Located in the state of Guanacaste, Liberia hosts both dry forests and rain forests. Quiet communities offer a calm section of the ocean for swimming, fishing, and superb scuba diving. Escape the sun and hike the rain forest-covered mountains for breathtaking sights, swim beneath majestic waterfalls, or take a relaxing mud bath—all are great alternatives but equally as exotic. Book your next vacation to Costa Rica with United Vacations today. Fly through the tree tops of the Forest via steel cables. You will be able to experience the various levels of the canopy as you swing/ glide from tree to tree. Resort info: Come for sun and luxurious sand, this inviting resort provides the perfect blend of service and smiles. Resort info: Guanacaste Beach location. Witness nature’s lush tropical forests and volcanic cliffs in this unforgettable vacations retreat. Resort info: The hotel offers a variety of activities on the beautiful beaches such as diving or fishing, ecotourism in the volcanic areas, and more. Resort info: Where exotic tropical surroundings, sunny days & cool breezes create an atmosphere of relaxation & fun, this hotel provides an ideal vacation setting. Resort info: Located on the northwestern coast and offers the comforts & luxuries associated with J.W. Marriott in an environment that is authentically Costa Rican. Resort info: Surrounded by crystal waters, lush greenery & white-sand beaches, this resort offers traditional accommodations ideal for eco-tourists on a budget.